Izzy faces a prison nightmare in Corrie! 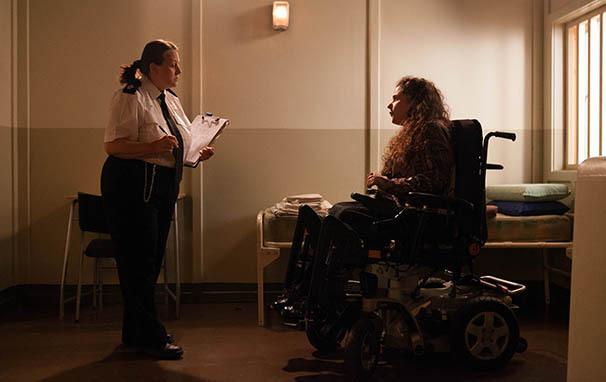 Having been found guilty of possessing cannabis and causing actual bodily harm, Izzy Armstrong (Cherylee Houston) discovers her fate when she returns to court for sentencing in Corrie… and it doesn’t look good. 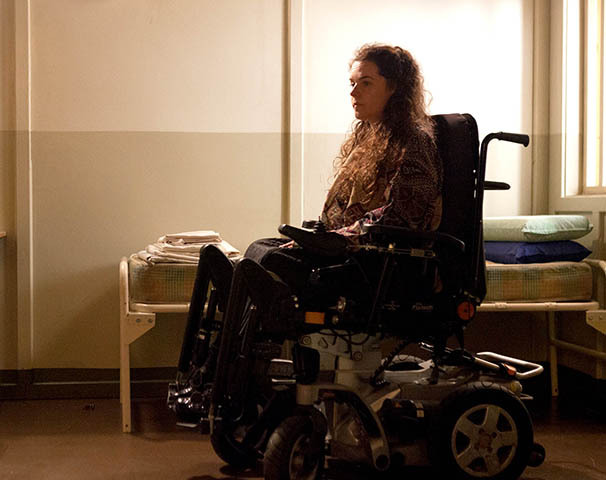 After getting into cannabis to help her deal with the pain caused by the condition that confines her to a wheelchair, Izzy showed no remorse for her addiction and assaulting a police officer, and she knows a prison sentence is the most likely outcome. How will she cope if she has to leave toddler son Jake with his dad, Gary Windass (Mikey North), and his family while she’s locked away? 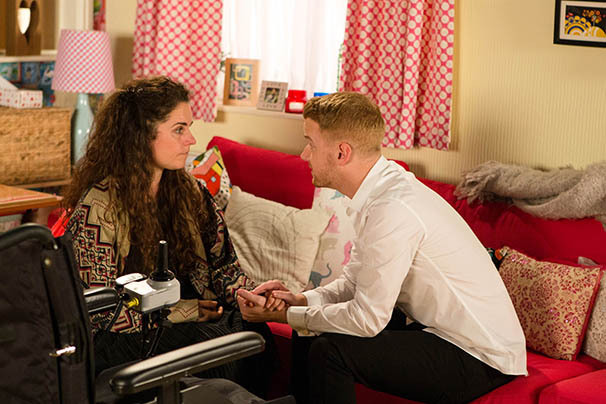 Gary does his best to comfort a tearful Izzy, who pulls him in for a kiss… and he kisses her back! Izzy’s all alone and facing a bleak outlook… Will the experience of her close encounter with Gary help her get through her ordeal?